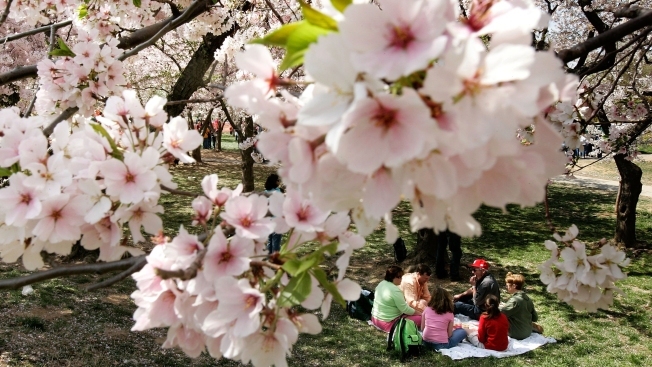 You might consider yourself a cherry blossom aficionado, but can you answer these correctly? A family enjoys a picnic under Cherry trees, which were in full bloom, at the ground of the Washington Monument April 2, 2006 in Washington, DC. Here's a quiz to test your knowledge on the iconic trees that draw visitors from all over the world to the District for their beauty. Check out our cherry blossom section for a 2018 festival guide, photos of Cherry Blossom-inspired food and more!